Join this spontaneous Sketchfab community project and improve your modeling skills in 30 days by modeling one common household object every day. Hey everyone, I’m Andrew McClain Hanold (hanoldaa) from South Carolina. I’m a software developer by trade but I’ve alway enjoyed art as a hobby. Up until now, I’ve restricted myself to only 2D art because I’ve been terrified of the tools used to create 3D art. I finally decided to stick it out for a several hours one weekend by following along with some tutorials to get a better handle on the tools, in my case Blender. While I wasn’t producing anything jaw dropping, I was pretty satisfied with the results and felt a lot less intimidated by the software. At this point I wanted to keep practicing and improving, but I had no personal direction or idea of what to create. Typically, I would end up choosing things that, if I were being honest with myself, were way out of my reach. While talking to another fellow artist (echofourpapa) about how much I love prop art and how I really wanted to just practice on props with the end goal being a shippable “props” package, he suggested I just look around the room and write down everything that wasn’t a part of the building and then model them. The end result would be that I should have enough props to reconstruct my room and someone familiar with my place would recognize it without context. And so I did! Five models (tissue box, stapler, plant, books and monitor), a few broken meshes and several hours later, I was feeling pretty confident about this process since I was already getting faster and more familiar with Blender. I was afraid of getting burnout, which I usually do, so I decided to stop and pace myself to one model a day. Once I split this out, it felt just like an Inktober prompt. And so the Household Props Challenge was born! I shared the idea with my coworkers who suggested adding some constraints to make it a real challenge before sharing it with the community. My goal with this is create a continuous learning process while still having some direction and guidelines. I’m not going for a perfect model every time, and I’m not trying to correct my mistakes after the fact. Instead, I want to carry that learning forward to the next model so I (ideally) will be left with a visual progression of skills and learning. And of course, the main goal above all else is to have fun doing it. I’m looking forward to seeing what other eager artists create and hopefully learn and get inspired by them. To participate, create a household prop each day in April and upload it to Sketchfab and Twitter. Tag it with #HouseholdPropsChallenge. You’re also encouraged to participate on the challenge forum topic. 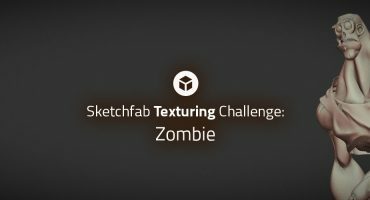 As encouragement, Sketchfab will reward 3 months of Sketchfab PRO to 3 randomly selected participants who completed the entire challenge. When not developing sales software in Unity3D, pretending to be a modern day da Vinci -emphasis on pretending. Great job throwing this one together, Andrew! 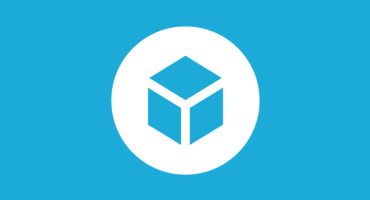 …and thank you Bart and the Sketchfab team for your contributions to the challenge. Great community! Looking forward taking part in this! I love working in low-poly, trying to refine my style a bit at the minute, so it’ll be a nice & productive challenge. Does it count if I start on third of April? Late entrant but I’m going to give it a shot. Bart and Andrew, who are the lucky challenge winners? Thanks for the reminder! We’ll get that sorted this week. hey, what would you say for the limit of polygon to be counted as low poly, or is it more about the look?